Brian Dudley is thrilled when he learns that he will be a batboy for the Tigers Major League Baseball Team. He is also excited when he hears that his baseball hero, Hank Bishop, will be playing on the team after getting suspended for steroid use. Brian loves baseball and loves working with the Tigers. He strives to be the best batboy he can be and is shocked when Hank Bishop does not appreciate his efforts. Meanwhile his father, who is a retired major league pitcher whom he hasn’t seen in over a year, comes to town to scout some players for Japan. Brian hates to admit it, but secretly hoped this connection to baseball would bring them together again. Can Brian earn Hank’s respect? Will he ever reconnect with his father? Will he still love baseball after a summer of working for the Tigers? This book is for anyone who loves baseball. Brian truly loves the sport in every way and his excitement is infectious. 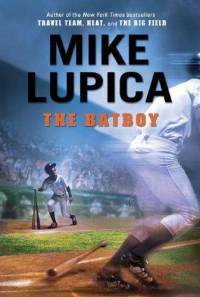 Lupica definitely has an upbeat, positive writing style in which characters often seem a bit simplistic. This won’t stop young readers from devouring his stories, however. The sports aspects are well described and there’s always a lot of action and character conflict. Recommended for sports lovers and reluctant readers.